Amazonite is a green variety of microcline feldspar. Amazonites name is taken from that of the Amazon River, from which certain green stones were formerly obtained. 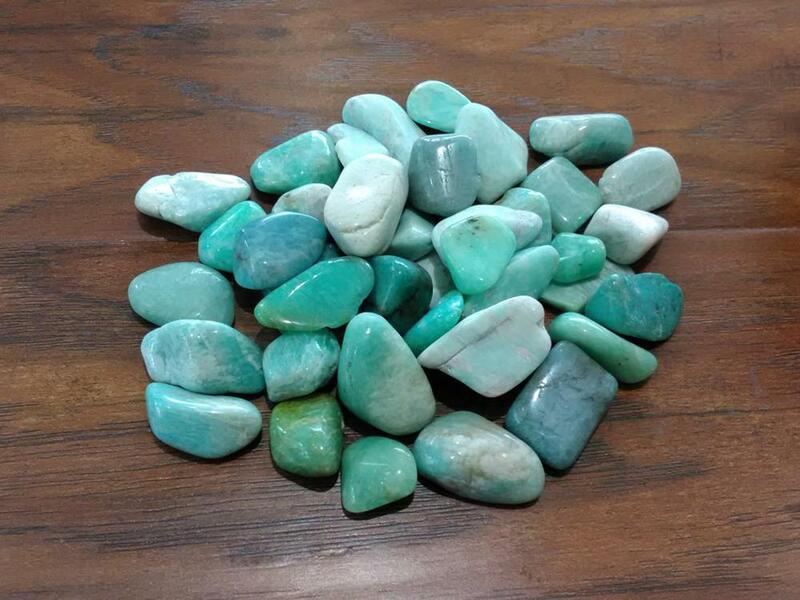 Amazonite is a mint green to aqua green stone said to be of truth, honor, communication, integrity, hope, and trust. It is said to enhance intuition, psychic powers, creativity, intellect, and psychic ability. 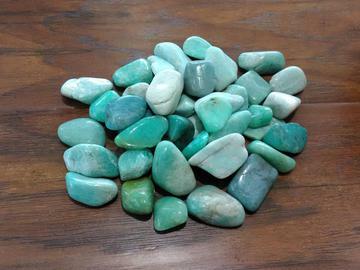 Amazonite is associated with the throat chakra. Stone sizes range from 1/4"- 1/2"